I've always listed historical fiction as being one of my favourite genres. With The Tudors being one of my favourite periods of history, I was really excited to receive a copy of Elizabeth Norton's non-fiction study of The Lives of Tudor Women. It's an absolutely riveting read, completely immersing the reader into the Tudor period with passages about real women who lived during this time. You can read my full review after the extract. I am absolutely delighted to be taking part in the blog tour and have an excerpt from the book for you. Although I loved all of the book, I think the chapter on witchcraft was one of my favourites and this excerpt is from that chapter. Part of the power of witchcraft in the Tudor imagination was that it know no bounds. It could reach the highest in the land. Queen Elizabeth’s cousin, Margaret Clifford, Countess of Derby, had been imprisoned in 1579 for asking a sorcerer to predict the queen’s death. Such a charge had not surprised the Spanish ambassador to England since, as he considered sagely, ‘there are a great number of witches here’. It was, indeed, no great leap from pulling children sharply away from the poisonous eyes of their grandmothers to considering elderly women capable of black magic. Henry VIII had made witchcraft a felony in 1542, punishable by death, and Elizabeth I’s Parliament restated much of this legislation in 1563. In an age of great religious faith, it was unsurprising that many people believed in the power of the Devil to possess the unfortunate, or of witches to do them harm. Some men were tried and convicted in the period, but the vast majority of those accused were women. Like poisoning, witchcraft was seen as an indirect – pernicious – crime. As a result, many women were dragged before the courts of Tudor England, with elderly widows being particularly vulnerable to accusations. In one county –tranquil, leafy Surrey –approximately thirty accused women were rounded up and dragged before the Assize judges during Elizabeth’s reign. The crimes of which they were accused were serious. Joan Gowse of Banstead had, the judges were assured, magicked an ox to death in 1564. The following year, her neighbour, Rose Borow, had ‘bewitched Alice Lambert, wife of Geoffrey Lambert, so that she died’. Both were convicted at Croydon on 7 August 1565 and thrown into gaol. Borow was still there four years later. In 1582, a veritable coven was uncovered in the pleasant market town of Godalming, in the Surrey hills. The apprehended townswomen filled the assize courtroom at Kingston, on 26 July. Elizabeth Coxe and her daughter, Joan, were supposedly the ringleaders, who had committed four murders by sorcery over a period of more than two years. Their neighbour, Agnes Waters (alias Stevens), had at the same time bewitched ten bullocks and a cow, causing their deaths. Juliana Page, another Godalming matron, had used spells to murder a five-week-old baby. Under questioning, Waters confessed, but the others staunchly denied the charges. They were fortunate, since the court that day displayed a healthy degree of scepticism. Only the unfortunate Waters was convicted. There had evidently been a rounding up of witches in the area, since one Elizabeth Cowper of Shalford was also brought before the judges that day. She had, they were told, bewitched Joan Lambert ‘so that she became lame’. She, too, was found not guilty. Joan Marlowe, who was accused at the same time of murdering William Haydon, at Egham, by witchcraft, had not seen fit to trust her fate to the jury, fleeing before she could be indicted. The unfortunate Agnes Waters of Godalming was released under a general pardon not long afterwards; but she was soon back before the Croydon Assizes on 12 July 1585. She was still practising her devilish arts, the judges were told, but now on people. First there was six-year-old Margaret Roker, who had clung onto life for nine months after being hexed in March 1583; then, three months later, there was Richard Charman, who lasted for a little over a month after being bewitched, and finally Catherine Hamond, who survived nine months after a magical attack by Agnes Waters on 26 June 1583. With such long periods between the reported crime and the eventual deaths, it would have been hard to bring any ‘evidence’ to bear. But Waters, already a convicted witch, was predictably found guilty and imprisoned. She was lucky not to face the death penalty: many others accused of witchcraft did. Elizabeth Norton explores the seven ages of the Tudor woman, from childhood to old age, through the diverging examples of women such as Elizabeth Tudor, Henry VIII’s sister who died in infancy; Cecily Burbage, Elizabeth's wet nurse; Mary Howard, widowed but influential at court; Elizabeth Boleyn, mother of a controversial queen; and Elizabeth Barton, a peasant girl who would be lauded as a prophetess. Their stories are interwoven with studies of topics ranging from Tudor toys to contraception to witchcraft, painting a portrait of the lives of queens and serving maids, nuns and harlots, widows and chaperones. I've always been fascinated with the period of history from the Plantagenets to the Tudors, encompassing the battle for the crown during the Wars of the Roses to the religious tug-of-war as England's Tudor monarchs switched between Catholic and Protestant. When I think of the Tudors, I first think of Henry VIII but, for once, he has a small part to play in Elizabeth Norton's The Lives of Tudor Women as the Tudor women come to the fore. I was given a history lesson from the very first page as the first thing that I learned was that Queen Elizabeth I was not the first Elizabeth Tudor. In fact, the first Elizabeth Tudor was her aunt, the younger sister of Henry VIII. Elizabeth died when she was 3 so she rarely appears in history books, at least none that I have read. If you google 'Elizabeth Tudor' you will see the familiar face of Good Queen Bess with no mention at all of her aunt. So that was my first clue as to the impeccable research that has gone into this book, the second clue being the massive endnotes and bibliography sections in the back of the book. Clearly, Elizabeth Norton has left no stone unturned in her writing of this Tudor masterpiece. What I found absolutely riveting about this book were the stories of real women who lived during Tudor times. Although obviously she features in it as the most famous Tudor woman, this isn't a book solely about Elizabeth I. There were some lesser known Elizabeths who caught my eye as I read about the visions of Elizabeth Barton, the Holy Maid of Kent and the persecution of Elizabeth Wright, the Witch of Stapenhill. Each chapter felt like a history lesson but one full of interesting colourful stories rather than one of the history lessons from school that made you fall asleep. 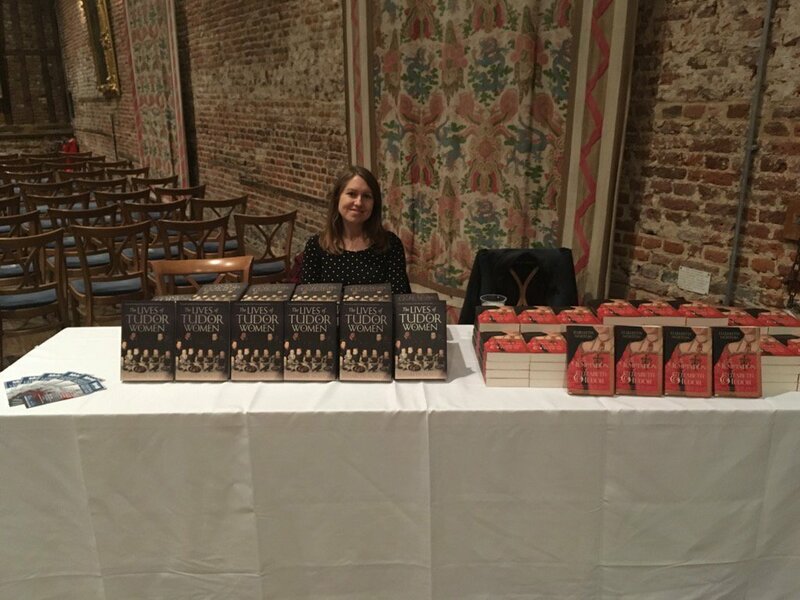 The Lives of Tudor Women definitely doesn't read like a text book, so historical fiction fans will very easily make the leap from fiction to fact. I truly stepped back in time whilst reading The Lives of Tudor Women, I was so immersed in the era that I felt a deep sense of loss as Elizabeth I breathed her last breath and the glorious flame of the Tudor dynasty was snuffed out. 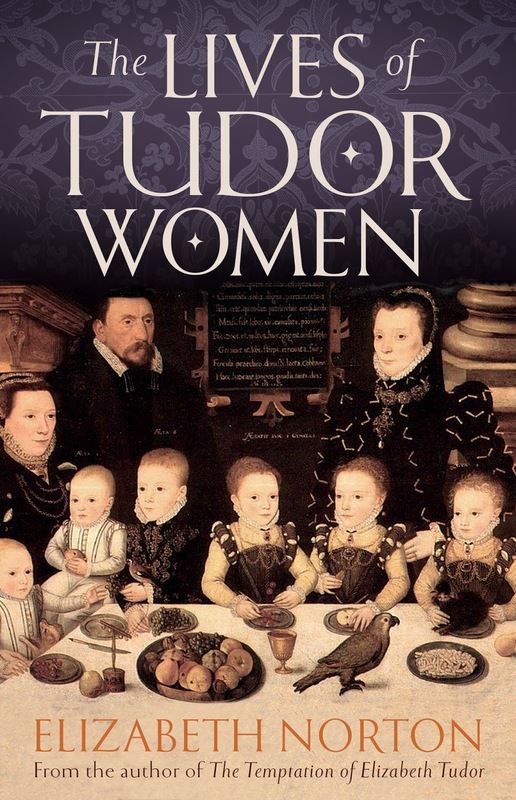 It's an absolutely brilliant book giving readers the chance to walk in the footsteps of various Tudor women, and leaving us with a deeper understanding of life in the 16th Century to enable us to fully appreciate the Tudor period. 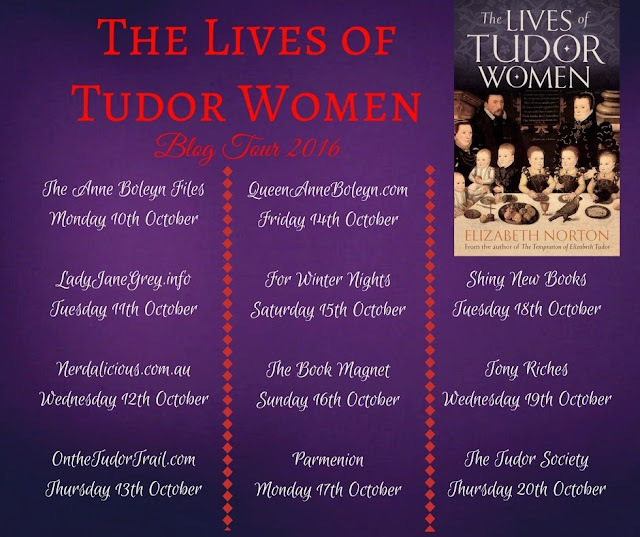 I have no doubt that this will absolutely delight all lovers of Tudor history, especially fans of Alison Weir and Philippa Gregory. Many thanks to Blake from Head of Zeus for providing a beautiful hardback copy in exchange for an honest review. I was awarded a double first class degree from the University of Cambridge and also have a masters degree from Oxford University. I am currently carrying out a research project into the Blount family of the West Midlands in the sixteenth century at King's College London. 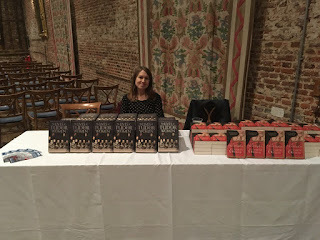 I have written twelve non-fiction books, including 'The Boleyn Women', 'Elfrida: The First Crowned Queen of England', 'England's Queens: The Biography' (which has recently been re-released in two parts), 'Anne Boleyn: Henry VIII's Obsession' and 'Margaret Beaufort: Mother of the Tudor Dynasty'. I make regular television appearances, including on BBC1's Flog It, BBC Breakfast, National Geographic's Bloody Tales of the Tower and Sky Arts' The Book Show. I am also regularly featured on radio and have published articles in The New Statesman, Who Do You Think You Are? magazine, Britain magazine and Your Family Tree magazine, amongst other publications. I live in Kingston upon Thames (close to Hampton Court!) with my husband and two young sons.